Indulge in these beautiful 30mm flat Creole earrings. 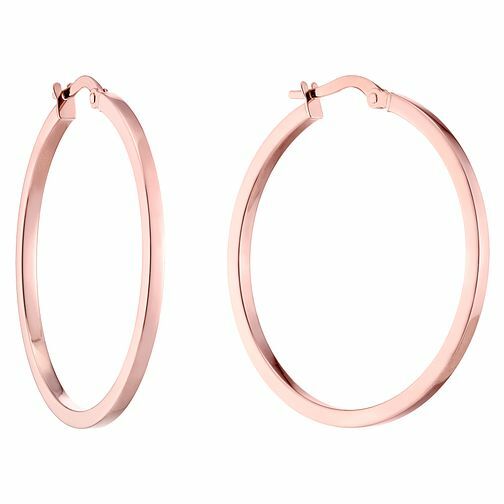 Finely crafted from 9ct rose gold, these chic earrings would make a stylish addition to any outfit. 9ct Rose Gold 30 mm Flat Creoles is rated 5.0 out of 5 by 3. Rated 5 out of 5 by Anonymous from Lovely earrings, a favourite of mine! I love this pair of earrings: simple and elegant, of the right size (not too big, not too small). The rose gold tone is delightful. Easy to put in and close. They are in 9ct gold, would have preferred a higher carat, but this helps keeping the price contained. Fast delivery and good packaging. Recommend!